Selling Your House - GreyBeard Realty and Rentals pointed out that the so-called curb appeal goes a long way toward making that all-important first impression. Another important factor to consider when planning any home improvement project is the timing of it. While some sellers often wait until they are preparing to put their home on the market to tackle that home project, it seems better to move forward with it when you can. After all, doesn't it make more sense to complete the home improvement project as soon as you can so you can enjoy the latest project for a while prior to moving on to your next home? That being said, as recent market numbers indicate, the supply of homes on the market is tightening. Right now could be a great time to tackle that long-planned project so you can list your Asheville home by summertime. For more information on how to prepare your home for listing, please visit Greybeard's sellers' page for some tips. And don't forget; when considering home improvement projects, it is important to think outside the home! Decided to Sell? Declutter Before Showing Your Home. It may seem as if the biggest decision was whether to put your home on the market to sell it. In fact some of your more difficult decisions may come as you prepare your home to sell. What do you need to have on hand in your home and what can you put in storage until your present home sells? Realtors agree that overcoming clutter is one of the biggest obstacles to selling a home. Reduce and remove before relocating. Greybeard has a whole page on how to prepare to sell your home which you can check out the seller's tips page here. Perhaps the most challenging for many people is de-cluttering your home. Everyone seems to understand that a home should be clean and well kept. Successfully preparing your home goes beyond sweeping the floor, however. You really need to pare down and remove most personal items so that potential buyers can imagine themselves in the home. That's really hard to do if the house if full of personal photos, including the ones in magnet frames on the refrigerator door. And while you're in the kitchen, be sure to remove everything from the counter tops. Put the small appliances out of sight and be sure to take any old, unusable food out of the cupboards. Even if you've found the kitchen storage space to be limited, you need to create the appearance that there's more than enough room for the new owner's canned goods! And please don't just put the toaster into the coat closet. Potential owners open closet doors. Closets should be neat and organized, again giving the appearance that there is room for everything in the home. Are there clothes out of season or out of favor in the closets? Box them up, label them, and put them into storage. Just think, it's one less thing you'll have to do once the home sells and you're ready for moving day. If it all seems overwhelming, choose one room at a time and really be thorough with that room. Consider removing furniture and putting it into storage as well. Do you need his and her recliners right now? Having less furniture in a room makes it look larger. While you're taking the other boxes to storage, take some of your furniture as well. Box up the knick-knacks that are meaningful to your family but clutter for new home buyers. 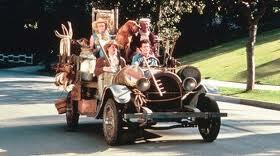 And think about the fact that whatever you pack up, you will have to unpack at the new house. Can you part with some of the items and perhaps donate them somewhere? With the tracking we do, we know that the real estate numbers are improving in the Asheville market, you need an edge to sell your home more quickly. When preparing your home to sell, just remember that less is better, especially when it comes to furniture, personal items and photos, and items on the kitchen counter. And again, doesn't it make sense to downsize on some possessions now and reduce what you have to pay the movers to transport? All of your hard work prior to showing your home will make your own transition to a new place that much easier. So go out and get those boxes. And don't forget the sharpie markers to label the boxes. A recent article in the Asheville Citizens-Times discussed the plans for expanding the greenways throughout Black Mountain and talked about the inherent benefits of greenways, including recreation opportunities and attractiveness to new businesses. In addition, it's important to note the real estate advantages to having greenways throughout a community, and the Asheville area real estate sales may see a positive effect from the greenway system. 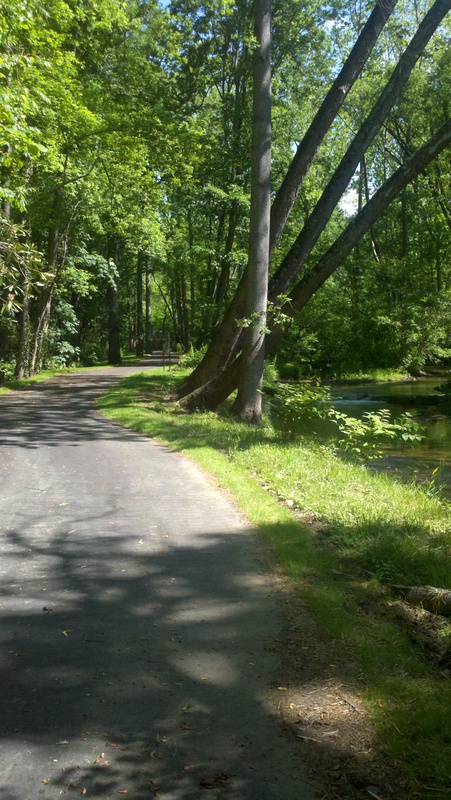 Greenways are trails of open space preserved for recreation and conservation. In many instances, the paths connect common areas and provide safe passage through communities with limited exposure to vehicular traffic. Greenways often offer protection for native plant life and can help in flood protection as well. National studies indicate that greenways have a positive effect on real estate sales. In several studies, days on the market (dom) are reduced when the property is adjacent to a greenway. One particular study indicates that houses adjacent to the greenway sold in just over half the time properties further away from the pathways stayed on the market. In addition, home values increase on those cites adjacent to the pathways, and sales prices were significantly closer to asking price for those homes as well. So while Asheville and Black Mountain residents can take advantage of safe, beautiful areas for recreation, the Asheville real estate market can also expect to see some benefits in terms of prices and fewer days on the market for homes in proximity to the greenways. For more information, please contact Greybeard Realty. 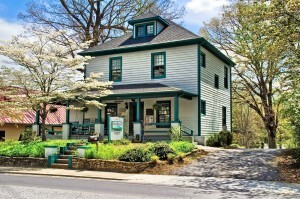 Want an Asheville Real Estate Sale? Get the Picture! They say that a picture is worth a thousand words. In the case of the real estate market, a good picture can be worth thousands of dollars. In a recent Wall Street Journal report, the use of nicer, professional photos increased home sale values anywhere from $934 to $116,076. The article details the specifics of how the figures were calculated. Professional quality photos of a listing can increase the sales price. In addition, listings across all price tiers with such photos receive an average of 61% more views than home listings taken with point and shoot cameras. Perhaps the most surprising statistic of all is that only 15.4% of the homes in the data set were marketed using professional quality photos. While homeowners and brokers may balk at purchasing a DSLR camera ($500-$1,000+) for the simple purpose of illustrating a listing, consider that a professional photographer can do the work for you for $100-$500, a worthy investment considering the potential payback. Homeowners often spend funds preparing the home for sale yet overlook investing in the photos to illustrate the beauty of their home. It's important to note that potential buyers these days often begin their home search on-line. In most cases, the first vision they have will be the photo posted with the listing. To quote another well-known adage: You only make a first impression once. Why not spend a little extra, or choose a broker who does, to get a good quality photo that illustrates your home's true value. For more information, please contact Greybeard Realty. Will National Home Sales Jump Extend to Asheville Real Estate Sales? There are some new housing numbers that may indicate an improvement in the home sales market in the months to come. Nationally, new home sales jumped 17.5% in December which increased sales of new homes to their highest levels in 8 months. 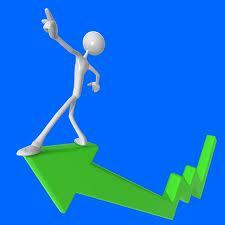 Economists had expected a 300,000 unit increase for the period. Instead, there was a seasonally adjusted unit rate of 329,000. The numbers, provided by the Commerce Department, seem to indicate some signs of life in the housing market. It's interesting to note, however, that these numbers were influenced by a spike in home sales in the West which economists feel have skewed the numbers toward the positive. Also, it's important to note that while there was in increase, it was still down significantly from its peak of 1.283 million-units in 2005. With the surge in the West leading the way, the supply of new homes declined to its lowest level since last April. In addition, the median home price for the period of $241,500 showed an increased to the highest mark since April of 2008. Closer to home, Buncombe County Realtors sold $49 million worth of homes during December which was the highest sales volume for homes in the last five months. These numbers alone are not enough to indicate a increasing trend, but coupled with the recent stock market rise and the decision by the Federal Reserve to maintain the low interest rates available, it may be seen as a small sign of hope for the new home sales market. 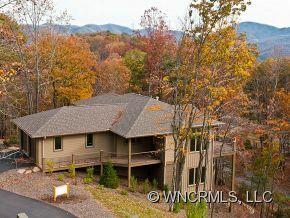 For assistance in the Asheville real estate market, please contact us. Greybeard Realty experienced a 14 % increase in home sales volume for 2009. That figure in itself is impressive, but when it is compared with area sales volume overall it becomes even more dramatic. Home sales volume declined 17% in Buncombe County in 2009. In Black Mountain, home sales volume fell 8% for the same period. For Greybeard founder Chip Craig, his company's increase in sales volume directly links with his company's focus on advanced technology and expertise. He notes that nationally 87% of home buyers use the internet while searching for new homes. In the last year, he has noticed a strong increase in web visits to the Greybeard website with 65% of his company's web traffic coming from outside of North Carolina. "Our web traffic is up 85% for 2009," he says. "In terms of page views, we are up 137% which means visitors are exploring more of our site. We have done quite a bit of search engine optimization to ensure that our site appears at the top of Google and Bing (two heavily used search sites)." Greybeard utilizes the internet to market itself through paid website banners and has increased this exposure in the last year while other companies have had to reduce advertising expenditures. Also adding to the upward trend is the company's commitment to rental properties. With more than 250 homes under the rental management division of Greybeard, the company also receives exposure to many potential buyers who have increased interest in home buying after a rental stay in the Asheville area. While he can cite statistics that support the positive numbers during the difficult economy, perhaps the greatest company asset, Craig admits, is the intangible one offered by the company itself. "Since the company started in 1999, we have focused on personal attention and trying to understand the needs of each buyer and seller," Craig says. "While we are competing with large, national companies with hundreds of sales agents, we have made a commitment to have a small group of qualified, dedicated brokers. We have 10 sales agents, each of them with direct ties to the community. Some of them grew up here, and all of them have a genuine interest in the community." With recent sales figures showing that the area real estate market may be trending toward more positive numbers, Greybeard remains dedicated to assisting interested buyers and sellers with individualized service. Is this the Beginning of the Recovery? While Black Mountain may have been one of the last markets hit by the economic downturn, we believe it is one of the first markets to begin recovering. While sales in Black Mountain and Buncombe County are down from the previous year by an average of 30%, statistics from the Western North Carolina Regional MLS show that we have may have reached the bottom and are beginning to rebound. For the first time since March 2008, home sales (# of units) in Black Mountain have exceeded the sales from the same month in the previous year, and currently, 22 homes are under contract. And while the average cost of homes significantly dropped from last year, we are finally seeing an upswing --- the median price of homes in Black Mountain has increased by 2% year-to-date. The good news continues for August. In August 2008, there were 3 homes sold in Black Mountain. As of the date of this posting (August 29, 2009), there have been 7 closed sales this month. 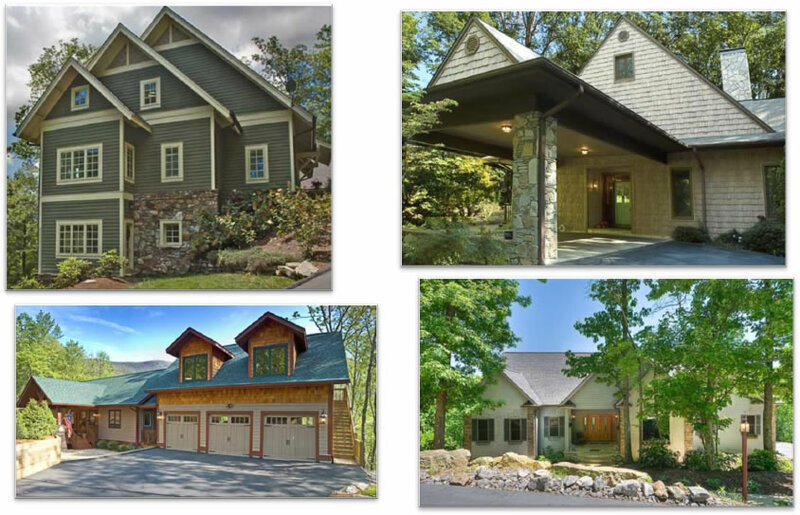 Greybeard Realty has become the leader in high-end home sales in Black Mountain and Montreat. Having sold 50% of all homes in the $400,000 and above market since August 2008, Greybeard's success testifies to our experience, knowledge, and, most importantly, to the trust of buyers and sellers alike. "We have increased marketing expenditures by 30% in a down economy, resulting in our website has seeing nearly double the traffic from the previous year, and our vacation rental reservations have increased dramatically over the last several months," noted Chip Craig, owner of Greybeard Realty. According to sales figures from the Asheville Board of Realtors, Greybeard is ranked #1 for total market share in Black Mountain and #11 for the entire Board. Says Craig, "We are thrilled to be competing so well with larger firms. We have 9 full-time agents, while the firms ranked ahead of us in terms of market share have dozens, if not hundreds." Despite the downturn in real estate markets across the nation, Greybeard Realty experienced growth in 2008. Our market share within the Asheville Board of Realtors has increased, as our firm climbed from 19th overall to 11th. In 2008, we represented buyers or sellers in 49 home sales transactions. By comparison, we represented clients in 50 home sales in 2007. Click to see our 2007 and 2008 home sales (*large PDF files). We are very grateful to all of our clients, and we look forward to the opportunity to continue to serve our community! Todd Olson on Choosing An Asheville Summer Camp? Why Not Own One! Riple on Choosing An Asheville Summer Camp? Why Not Own One! Gideon G.M. Gratsiani on Choosing An Asheville Summer Camp? Why Not Own One! John Beirs on Choosing An Asheville Summer Camp? Why Not Own One!